It’s hard to describe the excitement that loomed over the hall of Falkensteiner Hotel (Belgrade) on Friday, November 28th, 2014, while wine-loving Serbia was awaiting the final results of the most relevant wine competition in Serbia - The Great Serbian Wine Tasting organized by vino.rs online magazine. 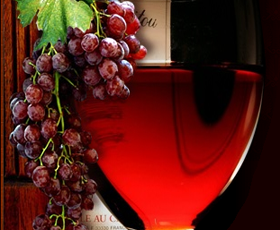 Out of the blue did the news come yesterday that “Mediteraneo” festival of wine, gastronomy and wine tourism scheduled for 15th and 16th November, 2014 was cancelled due to poor health of the festival organizer. The organizer himself apologizes sincerely to all partners and friends of the festival.